What's the Difference Between Fireplaces vs Fireplace Inserts? 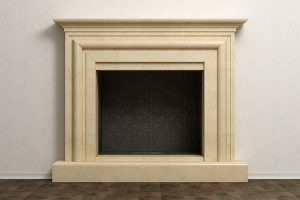 Home > Blog > What’s the Difference Between Fireplaces vs Fireplace Inserts? 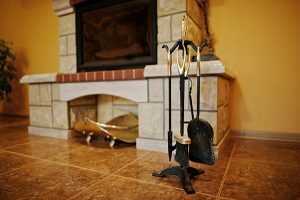 Fireplace vs Fireplace Inserts: What’s the Difference? There are a plethora of stories surrounding the fireplace – everything from Chris Cringle making his way down the chimney during Christmas to nostalgic stories that no doubt involve a grandparent and a rocking chair in front of a carefully wrought brick mantle with fire. Fireplaces are often seen as a central point in any room that they are found in. Indeed, there’s a reason why so many painters and photographers create their portraits of famous individuals around these centerpieces; they bring a level of dignity and complexity that would be missing without them. A newer version of a fireplace, though not without its own important history, is the fireplace inserts. They offer many similar features of a fireplace, but in an updated structure that brings fireplaces into the modern era of energy efficiency. If you’re like most, you might be a bit confused about what the actual difference is between fireplaces and fireplace inserts. Knowing how these two types of hearths differ can greatly influence what you put into your home. To truly understand their differences, let’s jump into how each of these structures functions. To start from the simplest of all places a fireplace is merely a structure that’s designed to carry fire. Historically, these structures were used as a way to heat an area during the winter but were also used in household chores such as cooking and laundry. Fireplaces have followed a similar style of all architecture – taking on a variety of forms that are composed of different materials. Typically made from stone, metal or brick, these structures always contain a few specific pieces that work effectively. The place where the fire is contained is simply called the firebox, while the smoke that’s produced from the fire is expelled through a flue. This flue is typically surrounded by some sort of chimney and allows the smoke to escape to the outside. There are many other pieces related to a fireplace as well, such as a grate, a mantelpiece, a damper and much more. 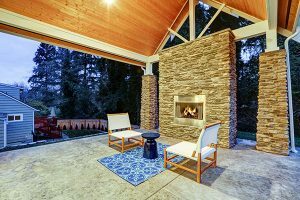 Traditionally, these structures burn wood, but can also burn propane or natural gas (read about how much maintenance does a gas fireplace need here). In terms of overall structure, there are typically two different types – the masonry and the factory-built fireplaces. Masonry versions are what most people think of when referring to a fireplace. Almost always made out of brick and mortar, these models have the most nostalgic feel but often suffer from multiple problems related to erosion. Factory-built fireplaces, on the other hand, are more modern variants made from metal and framed inside of a home without any masonry work. When a layman refers to a fireplace they are often just referring to the area where the burning happens – i.e. the firebox. This is a bit of a misnomer because, as seen here, there are a lot of other pieces that are integral to the fireplace to work correctly. Whereas fireplaces have been around since time immemorial, the fireplace inserts, on the other hand, have their genesis in the modern era. Invented in 1896 by Joab R. Donaldson, it was a device similar to a stove that could be inserted into an existing fireplace. A coal miner by trade, Donaldson originally used a small electric blower to take the smoke away from the burning coal and similar products. This unique fuel source was cheaper than gas or wood and thus provided heat to low-income families. 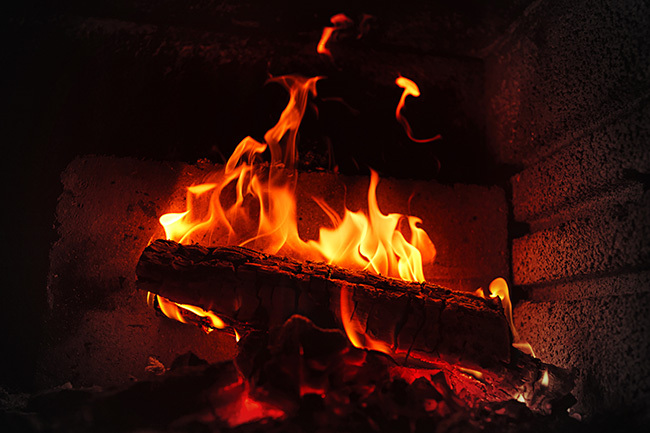 Today fireplace inserts can burn everything from wood, propane, natural gas, coal, pellet, and even be run on electricity. Wood models, in particular, are the most common and are considered much more efficient than traditional fireplaces. This is a result of its unique construction that results in superior airflow and upkeep. Typically made from steel or cast iron components, most models have some sort of self-cleaning glass on the doors. To maximize efficiency, even more, these models also have additional features added to them such as thermostatic controls and fans. Vents are situated on the bottom and top of the insert that allows for a better circulation of fresh air that can be heated up and dispersed inside the home. Nonetheless, these models aren’t without their pitfalls – unlike other heating sources and insert still requires some sort of fireplace to be inserted into, and typically requiring it to be a masonry one. The good news is that there’s a range of design options allowing a potential purchaser to customize the look of their room. A gut reaction to these jumps in efficiency might steer you toward a fireplace insert over a more traditional fireplace. 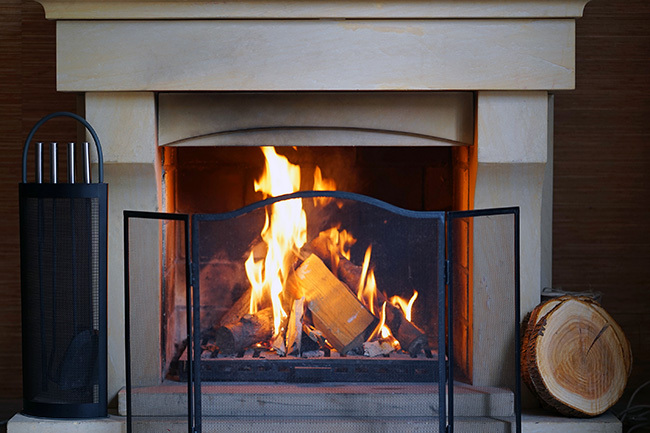 This isn’t without warrant either – while the numbers are hard to crunch depending heavily on style, a wood burning fireplace typically radiates back a mere 15% of its heat effectively into your home compared to a whopping 70% with insert. Fireplace inserts also have the advantage of having significantly less upkeep than a fireplace. 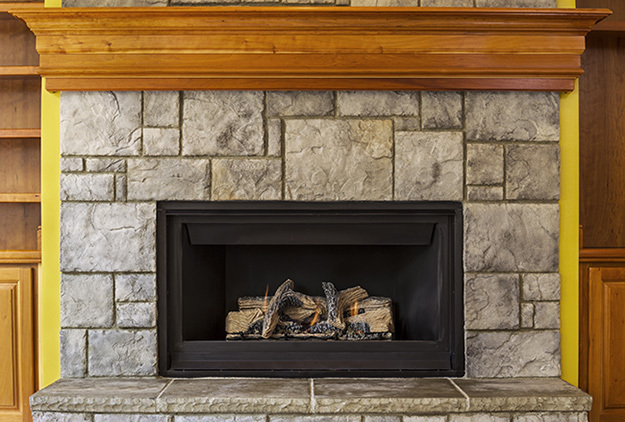 It’s recommended to carry out basic cleaning and maintenance procedures on a fireplace year round. Chimneys, in particular, require a specific focus and it’s highly recommended to get some sort of chimney sweep to check it annually for an in-depth cleaning, but also to check for any structural problems that might need to be fixed. Inserts don’t have any of these problems as they are mostly self-cleaning – especially in smokeless coal and electric models. However, the traditional fireplace might be outmatched in some places but it shouldn’t be counted out yet. Where there are many numbers quantifying the advantages of fireplace inserts, the edge that a fireplace has is a little more abstract. The reason for this is that a fireplace offers a better subjective experience in the sense of setting a mood and creating a certain type of atmosphere. While the inserts try to emulate the idea of a fireplace, when it comes to the sound of crackling wood and the aroma that comes from fire, a traditional mantel is completely unmatched. On a less artsy level, there’s one other big edge that a fireplace has over their newer counterparts – an insert requires an existing fireplace, meaning in an extra cost to you! Each type of hearth has its pros and cons. Fireplace inserts are a bit more obvious in this as it’s easy to measure how much better their modern design can disperse heat more effectively and require considerably less maintenance. A fireplace though does have an air of nobility around that an insert can only imperfectly emulate, making them ideal for those that want a more traditional look. Inserts are made so as to be able to burn a wide variety of different energy sources, with wood still being the most common. These devices do exactly what their name suggests – they are inserted into existing fireplaces. The fireplace itself can be made from many different materials and its main parts consist of a firebox, flue, and chimney. While both types can come in a range of styles and models, a fireplace is a more permanent structure. Knowing how these two types differ can allow you to pick the best one for you. Taking into consideration, fireplace inserts are a necessary need for any type of fireplace. 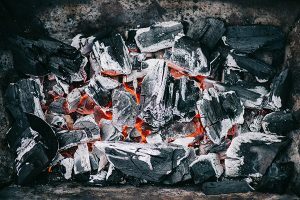 Now that you know the difference, maybe it’s time for you to get get to know the number one cause for fireplace and chimney fires…it’s creosote. The longer you go without a chimney cleaning and inspection, the more creosote buildup you get from inside your chimney. At Early Times, we take care of chimney maintenance and inspection. Since 1985, we’ve helped thousands of homeowners with creosote cleaning and chimney maintenance. That’s why we are the most trusted chimney maintenance company in the Midwest. Speak to a specialist and get a free quote today.